The Beds brand was created on strong foundations: knowledge, carpentry practice and experience. Almost 30 years ago the owner of the company took a risk. Someone who invests his savings into a wood lather without a guarantee for success must have been guided by passion. Roman Bilecki had and still has much more: the knowledge, skills and intuition that allow him now, while skillfully maneuvering the furniture market, to reminisce on his first steps with sentiment. Now Roman Bilecki not only manages the company but also serves as initiator of concepts and designs for new pieces and whole collections. He is the creator of most of the products offered by The Beds. He has many successes in the field of industrial design. 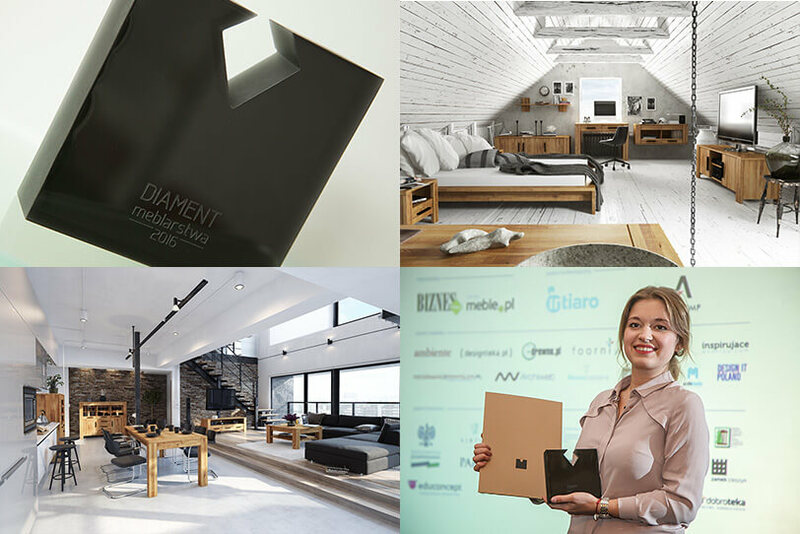 His last merit is the "Diament Meblarstwa 2016" award for the new CUBIC collection. Roman Bilecki's creations have been noticed during many contests, by magazine publishers and also by the Institute of Industrial Design from Warsaw. With the coming of the next generation the company looks for new horizons. Roman Bilecki's son, Tomasz, decided to breathe new life into the company. The online shop, Beds.pl, which was created in 2005, was brought to life by the decision to move into the Internet and start sales on the net. Everyday we can the evidence that creating the online ship was a great decision. But this is not the end of the road. Over the years we have changed, perfected and strove to get to the place we are now. The change we are presenting in the form of The Beds is a milestone for us. The metamorphosis does not end on the visual effects. It is visible on every step of the process of preparing furniture especially for you and extending our offer.